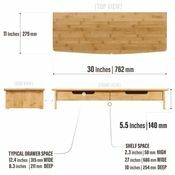 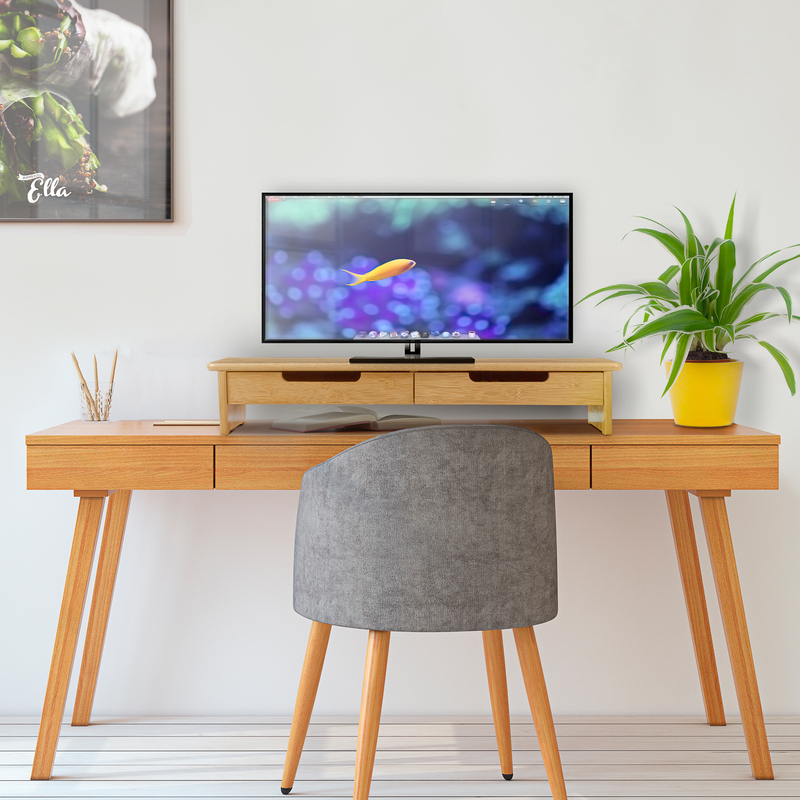 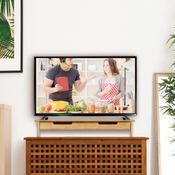 Prosumer’s Choice Extra Long Bamboo Monitor/TV Stand and Riser with Dual Pull-out Drawers combines multiple products in one elegant furniture accessory. 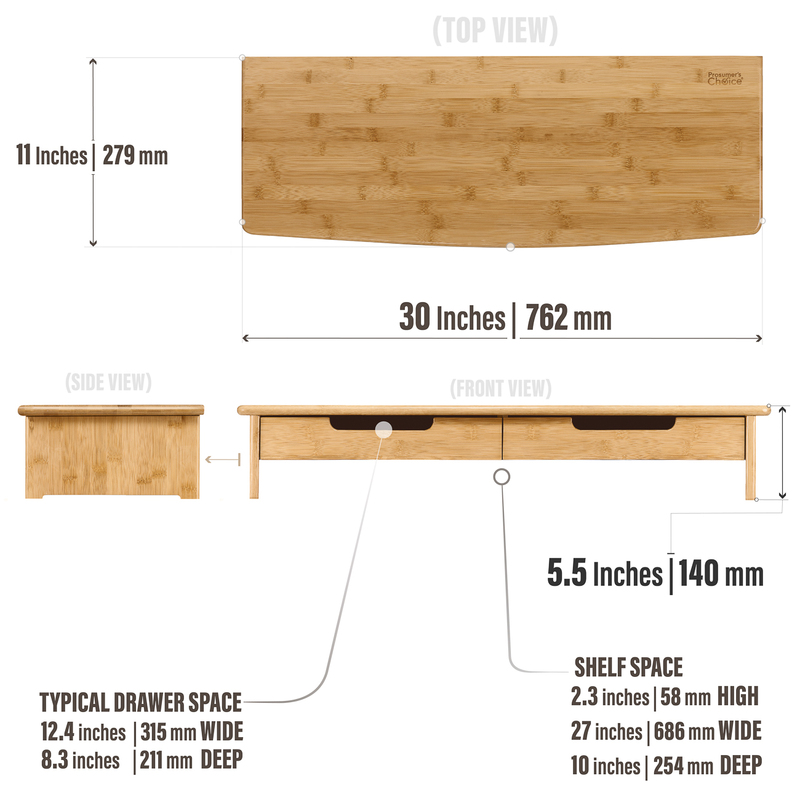 You’re getting an extended size TV or monitor riser with two drawers for storage along with a hollow cubby space. We designed this 30-inch entertainment shelf to accommodate both large sized screens as well as dual monitor displays. 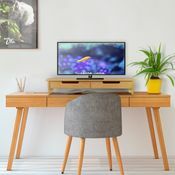 The stand functions as a TV/monitor riser to give your screen(s) a 5.5-inch lift in height for ergonomic viewing. 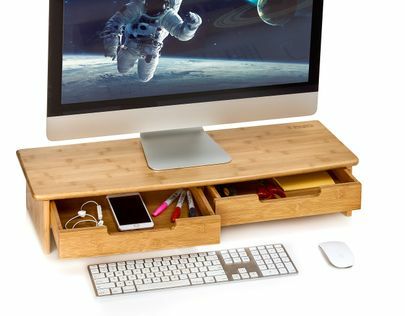 The two pull-out drawers and cubby space help you organize your entertainment center or desk and reduce clutter. 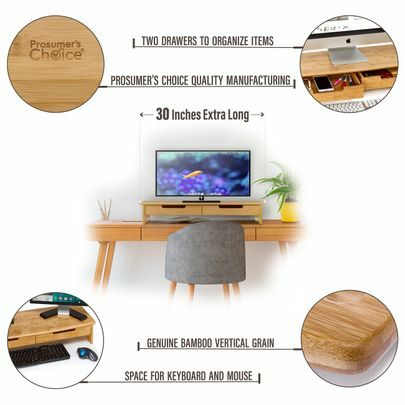 Use the built-in drawers to store remotes, product manuals, gaming controllers and other small items you want keep handy. 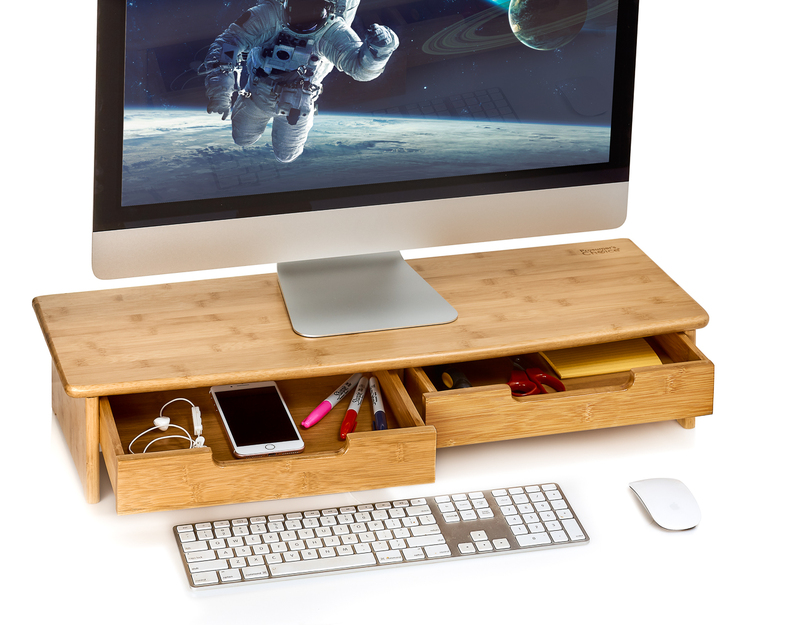 The convenient cubby area is an ideal storage spot for compact cable boxes, Blu-ray players, keyboards and tablets. Made of durable, lightweight bamboo, this heavy-duty stand supports even hefty TVs and monitors with screens up to 65 inches. 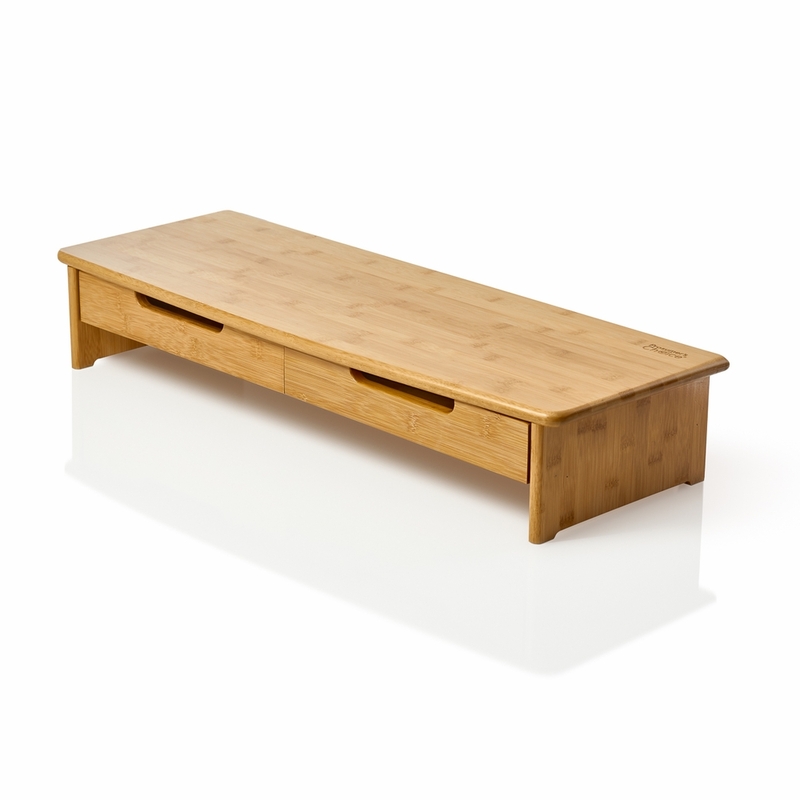 Bamboo is an excellent choice for your home or office as it’s easy to clean and will last for many years of enjoyment. Best of all, sustainable bamboo is considered a super renewable resource, so your purchase helps the environment. 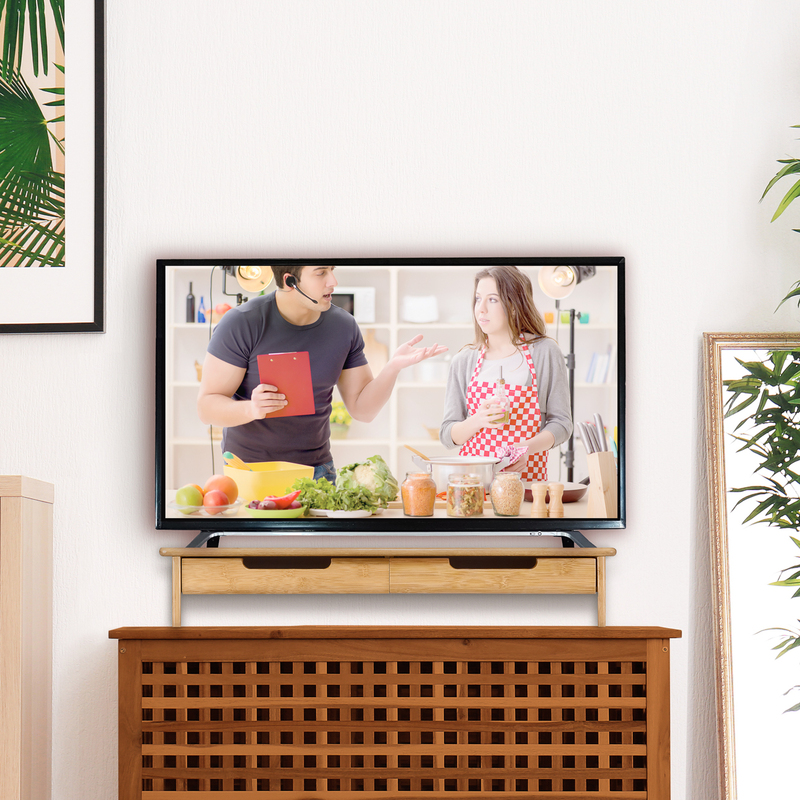 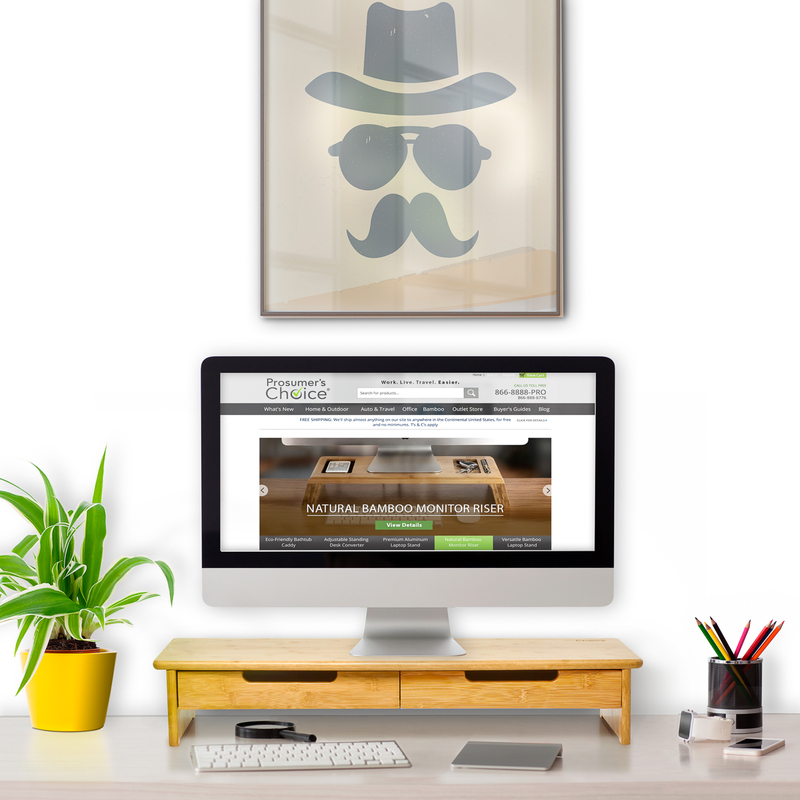 Your bamboo stand arrives preassembled, so it’s ready to go right out of the box. Just place the stand on top of your desk, credenza, counter top or other surface and you’ll be able to organize your living room or work station.